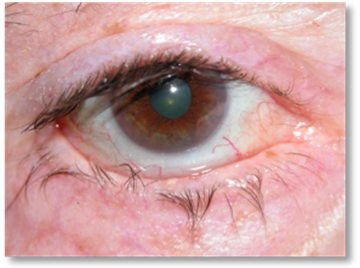 Trichiasis: abnormal eyelash growth, which can grow into the eye and rub against the cornea. Distichiasis: additional line of abnormal eyelash which can subsequently can rub the eye. It may appear at any age, ranking from children to the elderly. The causes are varied, ranging from congenital conditions of hyperfollicular trauma, eyelid tumours, human aging and styes or blepharitis. All can cause loss of normal eyelash position, with abnormal growth regarding quantity or direction. It is a relatively common disease, especially in older people. Fundamentally red eye, conjunctivitis, inflammation of the cornea, corneal ulcers and possible infection of the ulcers with potential danger of perforation. They are therefore a problem for eye care and eye comfort. How are eyelash malpositions treated? Initial treatment may require patience, due to the large capacity that eyelashes have to grow back and the difficulty of dealing with the process without damaging eyelid anatomy. Treatment depends on the extent of the defect and the age of onset. The first step is removal. The patient should be instructed to learn this himself, with suitable tweezers to withdraw those that are most visible. Cauterization, laser removal or cryotherapy. These treatments are valid in many cases. Laser has little effectiviness, and in these cases direct cryotherapy or electrolysis directly performed upon the follicular area are preferred. 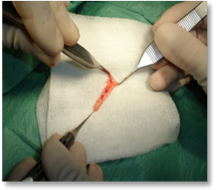 These procedures often require the use of local anesthesia and may require use of the operating theatre. 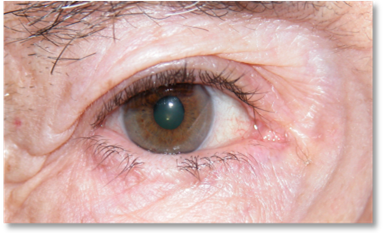 More severe cases can involve partial removal of the eyelid followed by reconstruction. Other cases may require partial rotation. In the upper eyelid is sometimes necessary to do more complex techniques to slide and rebuild part of the eyelid in order to achieve three goals: anatomical and functional purpose, ensuring the eyelashes and eyelids adequately cover the corneal surface, and finally a cosmetic goal so that the patient does not lose his normal tabs. 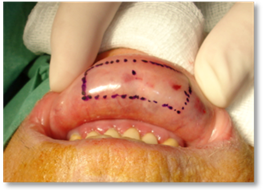 Other techniques include the elimination of the back of the lid margin and lip graft. Extreme cases leads to complete elimination of the eyelid margin, especially in severe cases in which cosmetic purposes are not intended. 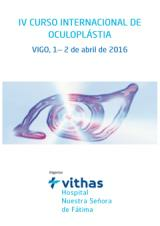 Patients should be informed of the high chances of recurrence (reappearance) of the disease. 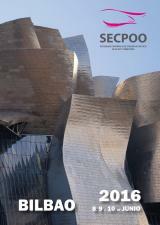 They should therefore follow a schedule for treatment according to the severity of the disease. Treatments are ambulatory and are performed under local anesthesia. 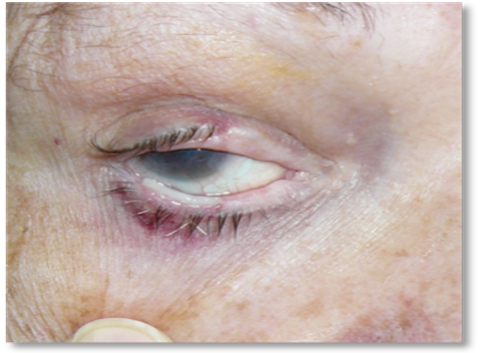 Post-operative care is similar to that of any eyelid injury.